Worried about using harsh chemicals to keep your jewelry clean? 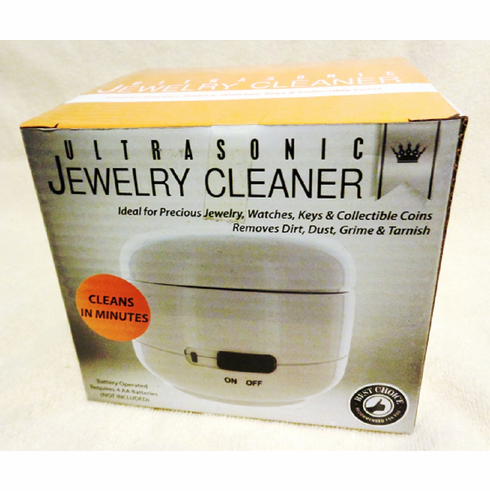 Clean your jewelry at home with this handy ultrasonic jewelry cleaner. This ultrasonic jewelry cleaner features an LED light indicator, suction cups on its base to keep it stable when in operation. The ultrasonic cleaner measures 4 inches tall, 5 inches in diameter; and 4 AA batteries (not included).